Area of Stavrinides village located at the north of the island. Population is 42 inhabitants. 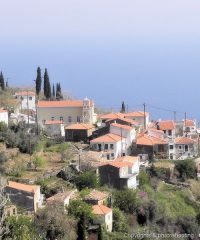 It’s one of the smallest villages in the island, with plenty of water, surrounded with lush vegetation, vineyards and orchards and has excellent view to the north. is a rare a Byzantine ecclesiastical monument, the history of which dates back to the 8th century AD. Pythagoreio is built on the ruins of the ancient city of Samos, capital of the island and one of the most famous Greek cities of antiquity. It is built on the lower part of the old city which was built amphitheatrically, around the harbor. it’s a scenic, crystal clear pebbly beach, well protected from the northern winds. The beauty that it has is enough to relax and enjoy swimming, far from the big crowds of the well organized beaches. one of the most popular beaches of Samos in which frequented Locals from Karlovasi town. The waters are crystal clear, the scenery is very interesting and invites exploration. The sunset is beautiful and is worth to see. From here you can go to Micro Seitani and Megalo Seitani beaches. Become inspired to travel to Samos island. Discover history, topography, places to go, fantastic things to do, where to stay, what to eat and much more. Explore Samos with the experts who know it best. 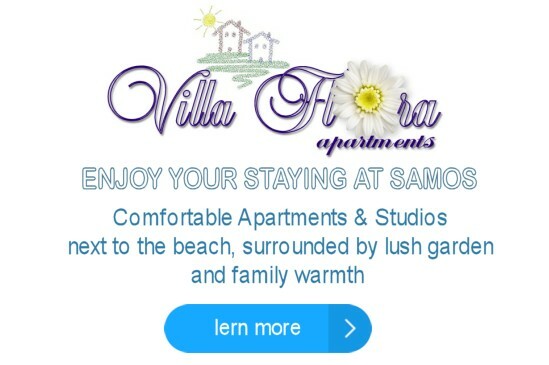 Since 1998, the first guide in web about Samos. © 1998 - 2017 Copyright by samosin.gr. All rights reserved.